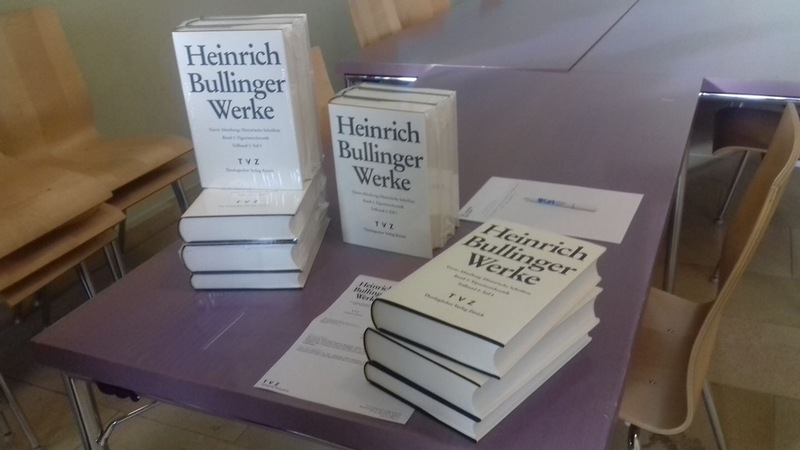 The day this three volume work was published. Here. Go. Michael Langlois is the chief antagonist. I believe that the figment of purgatorial fire is as much an affront to the redemption of Christ freely granted to us as it has been a lucrative business to its authors. For if it be necessary by punishments and tortures to expiate the guilt of our crimes, Christ will have died in vain and grace will have lost its meaning. 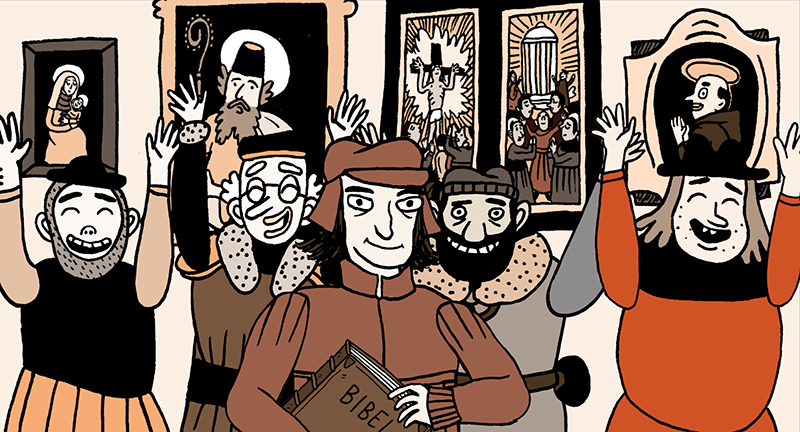 Can anything more wicked be imagined in Christianity? Or what sort of a Christ do they have who wish to be called Christians and yet dread this fire, which is no longer fire, but smoke? But that there is a hell, where the unbelievers, disobedient and public enemies are forever punished with Ixion and Tantalus, I not only believe, but know. For when the Truth [Christ] speaks of the universal judgment, He asserts that after this judgment some will go into everlasting fire. [Matth. 25:41]. After the universal judgment, therefore, there will be everlasting fire. Hence the Anabaptists cannot cover up with His [Christ’s] word their error, that ’ôlam, or “for ever” does not extend beyond the general judgment. For in this passage Christ is speaking of everlasting fire that will burn after the judgment and will torment the Devil and his angels, and the ungodly who despise God, and the savage men who suppress the truth with falsehood and do not mercifully and faithfully aid the necessities of their neighbor. So take that you feckless and godless pagan universalists (and no wonder you never read Zwingli. Or Calvin. Or Luther. Or Scripture). Paige Patterson has wrecked more lives than we can even count. 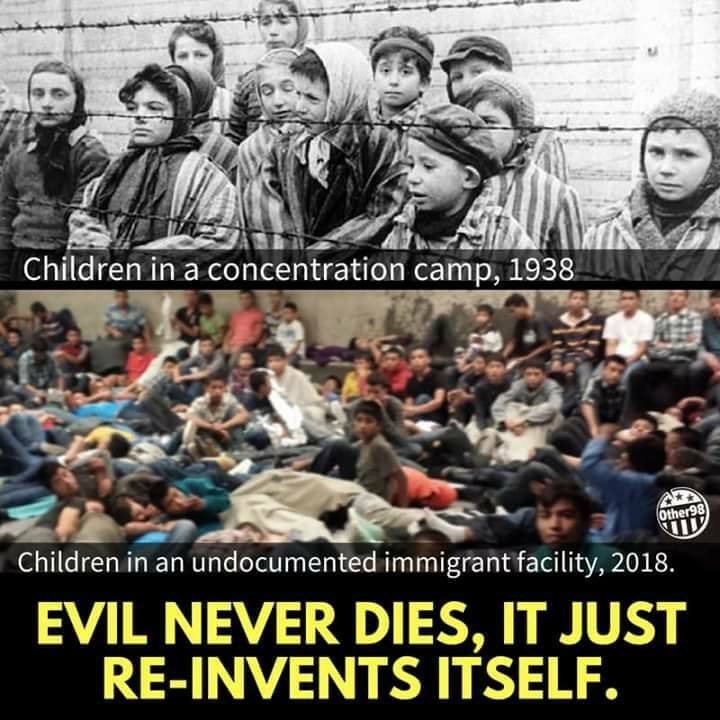 This is happening in America. Right now. We should be ashamed beyond words and our politicians should pay the price. 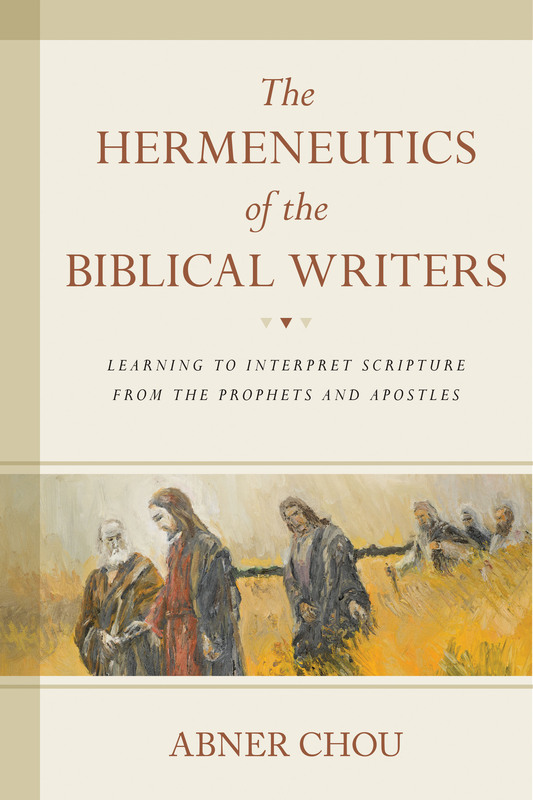 A method of interpretation–a hermeneutic–is indispensable for understanding Scripture, constructing theology, and living the Christian life, but most contemporary hermeneutical systems fail to acknowledge the principles and practices of the biblical writers themselves. Christians today cannot employ a truly biblical view of the Bible unless they understand why the prophets and apostles interpreted Scripture the way they did. To this end, Abner Chou proposes a “hermeneutic of obedience,” in which believers learn to interpret Scripture the way the biblical authors did–including understanding the New Testament’s use of the Old Testament. Chou first unfolds the “prophetic hermeneutic” of the Old Testament authors, and demonstrates the continuity of this approach with the “apostolic hermeneutic” of the New Testament authors. Chou begins his survey with a ‘quest for authorial logic’ and follows with the set of presuppositions and methods he will employ. The meat of the volume commences in the third chapter, where Chou investigates the prophet as exegete and theologian. Then he turns to the critical question of prophetic self understanding; i.e., did the prophets speak beyond what they meant to say? The fifth chapter explores apostolic exposition of the Hebrew Bible and chapter six the ‘theological fabric of the New Testament’. The seventh chapter draws the implied conclusion of the entire enterprise: ‘reading as they read and intended’. The eighth and final chapter attempts to draw readers into the hermeneutical process itself. The work concludes with a bibliography but it lacks any indices and the bibliography makes no mention of Hans Hübner or Leonhard Goppelt! This last fact is utterly astonishing because these two scholars have done more to aid us in understanding the hermeneutics utilized by the writers of the New Testament than any other academics yet. It’s akin to writing a book about the Reformation and not mentioning Luther or Calvin or Zwingli or writing a study of the Gospel of John and ignoring the existence of Rudolf Bultmann or preparing a volume on the Septuagint and refusing to acknowledge the existence of Rahlf-Hanhart’s edition. Chou is, on the other hand, heavily indebted to G.K. Beale, D.A. Carson, Eugene Merrill and other very conservative scholars. Accordingly, the proper title of the volume ought really be ‘The Hermeneutics of the Biblical Writers: Learning to Interpret Scripture from an Exceedingly Conservative Perspective And Less from the Prophets and the Apostles’. Or, to put it more simply, this is an ideologically driven monograph. The author finds what he expects to find concerning hermeneutical method because that’s what he fully expects to find. His argument is circular. His reasoning is clear, yet hog tied by a raft of presuppositions which, to be fair, can be held by anyone. Yet in holding presuppositions, we owe it to ourselves and our readers to make it clear that we have them and that we are supporting them in our arguments without very much interest in contrary facts or evidence. Chou, and all of us, can be as biased as we want. But we have to say we are. Pretending to be objective whilst not honestly being such is misleading. Finally, the Christological lens through which every part of the Old Testament is seen is simply exegetically wrong. Further, it is inappropriate. Isaiah meant what Isaiah meant and he meant it for his day and time. If we want to make some sort of Christological claim from it we can (and the Church has from the beginning) but it has to be clearly said that such a move is purely interpretive and has nothing to do with what Isaiah meant. You can see Christ under every stone and behind every tree in the Old Testament that you want to. But that doesn’t mean he’s really there any more than he’s really there in your cheese toast or your door or your cloud. Chou’s work would have been better and more rounded had he simply brought in viewpoints with which he didn’t agree. But the line he took from the very beginning was a staunch Conservatism, and his volume suffers for it. This volume is great propaganda (for a conservative perspective), but it is sub-par scholarship. If you hold a conservative view of Scripture, this volume will be wonderful for you. Because it will reinforce what you already presume. But it won’t teach you anything, and at the end of the day if a book doesn’t teach us something it really has no reason for being. Look at who you have become, America. 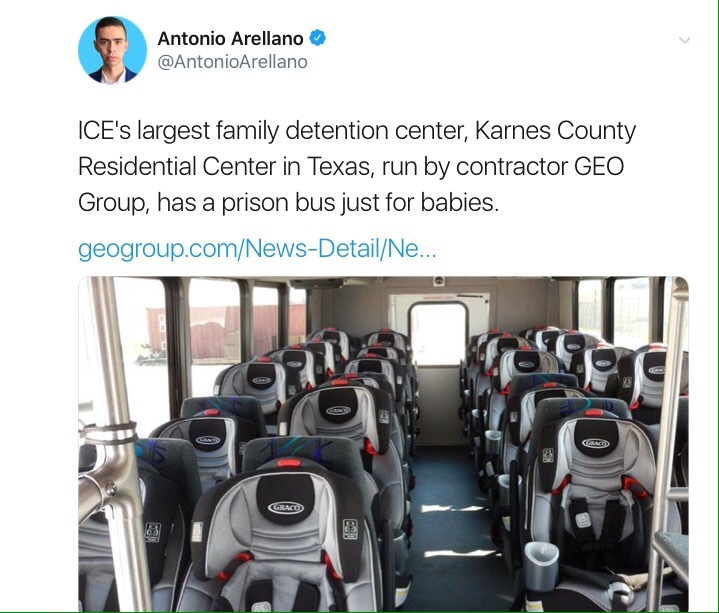 You separate children from parents like some sort of modern day Auschwitz and ICE even plans to do it, with godless busses for the sole transport of infants. If this reflects who we are, this country needs to end. And if this kind of thing is ok with you, I simply do not believe you when you tell me you are a Christian. Ireland Votes to Readmit Snakes! The Irish have spoken. They, by a majority, want snakes back. I tell you this that you may see how far self-esteem can carry us. 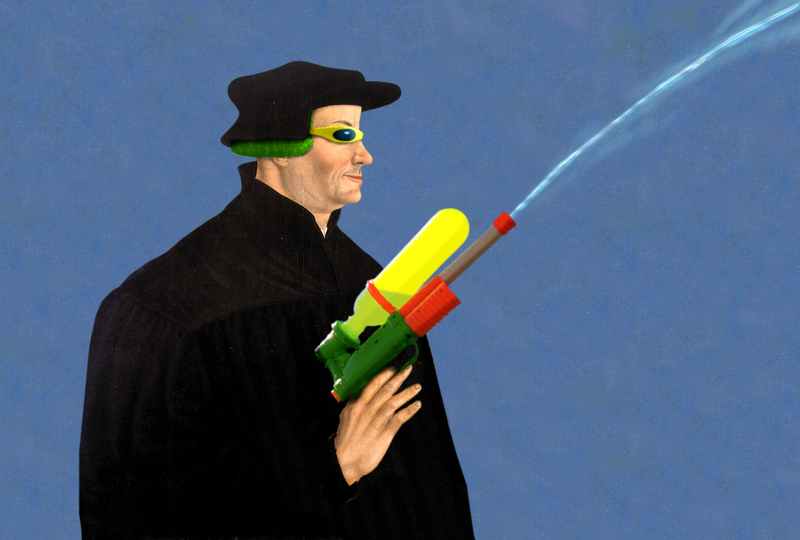 Would that Erasmus had treated my arguments with his pen! The world would then have been persuaded, so that I should not labour under such a burden of enmity. I always preferred to stay in the background; but the Lord did not wish it, and His will be done. Would that the name of Erasmus had been attached to my book! Then shamefacedness would not have held me in its bonds, nor the fear of vainglory. I thus speak before the Lord: After my writings have been read by all, I would wish that my name should fall into oblivion. Glareanus rages against me, and takes all measures not only against me, but also against Œcolampadius. See how the thoughts of the heart are revealed, when Mary, i. e., those who are Christ’s mother, sister, and brother, are stricken with the sword of persecution. Who would have thought that there was in the former [Erasmus] so great a desire for glory, and in the latter [Glareanus] so much of malignity and venom! This essay is worth reading. Additionally, what’s said here can and also should be said of the TV church. For you to send along your Carnival suggestions. 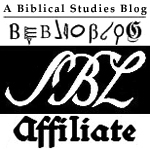 If you’ve seen a good biblioblog post, send it. Today spend your time reflecting on the sacrifices many have made so that you could enjoy your freedom and perhaps even do a kindness to the family of someone who lost a soldier in battle. That’s Memorial Day the right way- not buying a bunch of junk you don’t need just because there’s a ‘sale’ on. We are happy to invite you to join us this Wednesday, 30 May, from 13.30-15.30, at the University of Groningen Faculty of Theology and Religious Studies (Oude Boteringestraat 38), room 117, for the Dirk Smilde Research Seminar. We very much look forward to seeing you all then!